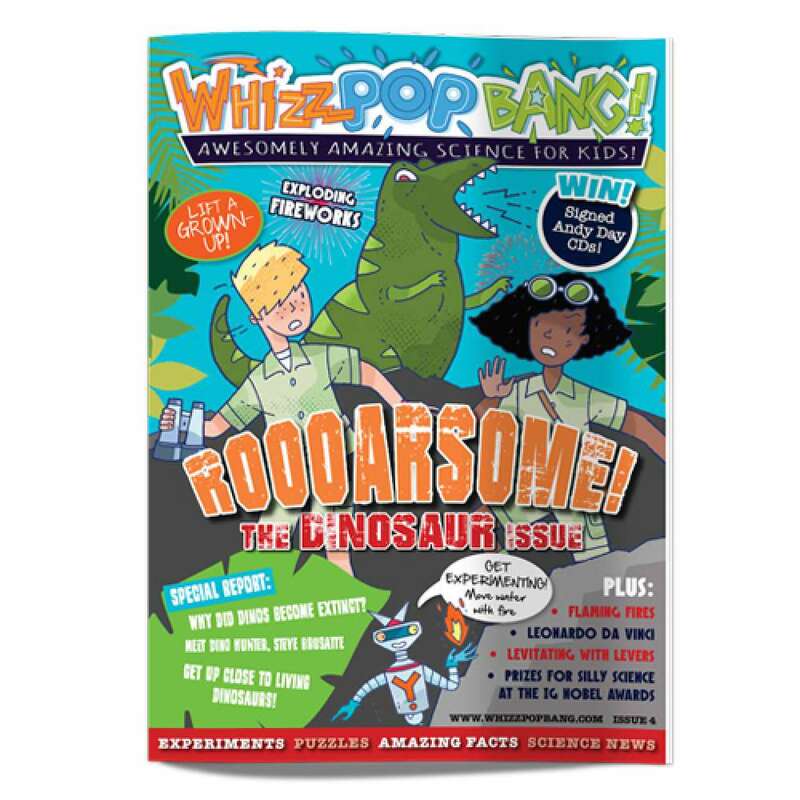 This ROOOARSOME edition of Whizz Pop Bang magazine includes an in-depth report into the reasons that dinosaurs became extinct, you can meet a real-life dinosaur hunter, Steve Brusatte, and even get up close and personal with today's living dinosaurs! 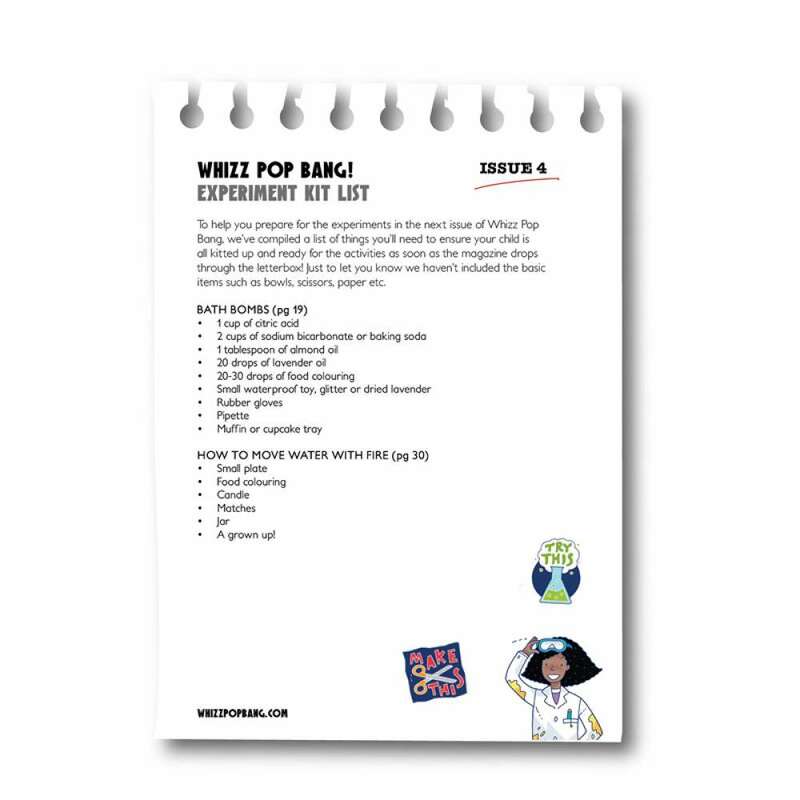 Plus, you can experiment with levers, fire your imagination whilst learning about flames, take a trip to Mercury and even find out what's inside fireworks. 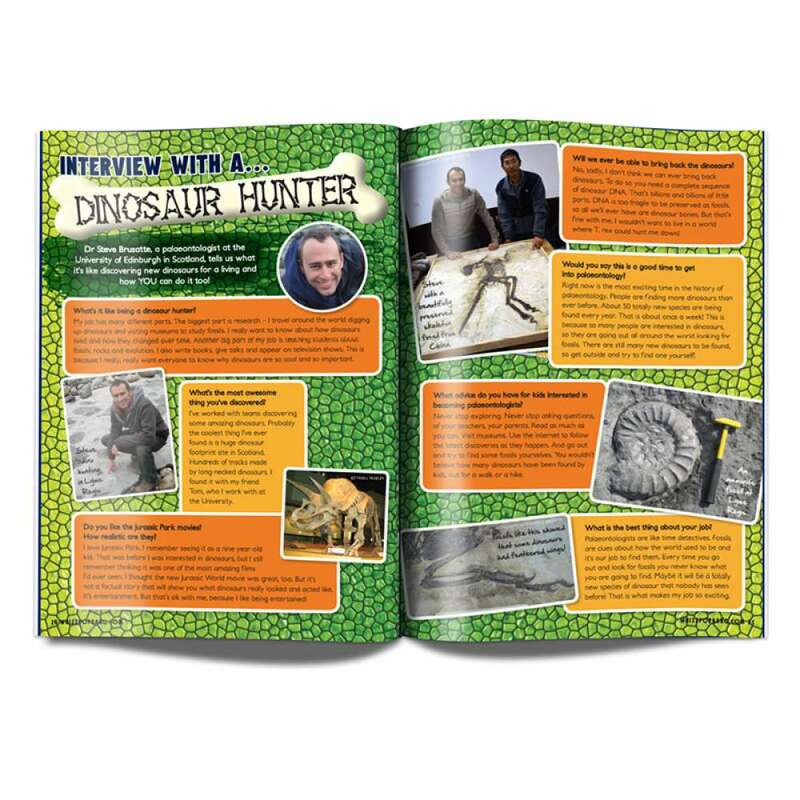 Hands-on science for every budding young paleontologist!